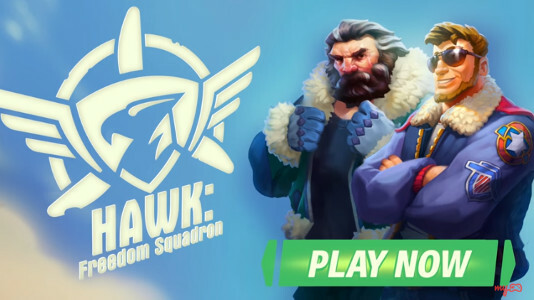 I have blogged before about my love of aviation, so when My.com approached me to work on this bullet hell shooter game I was intrigued. I crafted the main storyline about a ragtag band of heroes coming together to help a peaceful nation resist its brutal neighbor. Released last January, the game has topped five million downloads and seen a billion enemy planes destroyed. It is available at the iTunes Store and the Google Play Store. This tabletop roleplaying magazine from Sweden has a mix of Swedish and English content, the latter provided by renowned writers like Kenneth Hite, Pete Nash, Will Hindmarch – and lately, me. I highly recommend checking out their all-English Best of Fenix volumes, which are available in PDF form from DriveThruRPG and other online retailers. I describe their content as “thoughtful articles for grown-up roleplayers,” and whatever games you read or play, you will find something useful and interesting within their pages. I contributed to four issues in 2017, and I have plans to continue in 2018. Fenix 2/17 included a reprint of “As God is My Witness,” a systemless article on the Medieval practice of trial by ordeal which was first published in Imagine magazine in 1984, and “CSI: Fantasy,” a new article on forensic folk-magic from European tradition. For Fenix 4/17, I wrote “Bloodthirsty Blades,” a review of cursed swords in myth and fantasy literature, with some ideas for the GM to make them into a major part of a roleplaying campaign. Fenix 5/17 included “When is a Dragon Not a Dragon?” taking examples from myth and folklore to show how dragons can be more than just a powerful boss monster. Fenix 6/17 included “Creating Cults,” an examination of cults and cultists, examining the structure, organization, and goals of six different types of cult for a fantasy campaign. Toward the end of the year, British tabletop RPG publisher Cubicle 7 announced that they had won a license from Games Workshop to produce a fourth edition of Warhammer Fantasy Roleplay, the game that arguably started my career thirty-odd years ago. I am not allowed to go into too much detail, but I have contributed some writing to the core rulebook and I am currently in the planning phases of a project called The Enemy Within Director’s Cut. I will be going back over the beloved campaign, making some changes based on the experience of thousands of games played over three decades, and adding some new material to bring this version more into line with the vision that Jim Bambra, Phil Gallagher, and I developed for the original. That is all I can say for now, but keep an eye on this blog and the Cubicle 7 web site for more details. 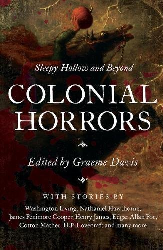 Another proud achievement this year was the publication of this anthology of early American horror fiction, all set in or around the Colonial era. I tracked down some great stories by writers famous (Edgar Allan Poe, H. P. Lovecraft), obscure (Charles Brockden Brown, John Neal), and better known for writing outside the horror genre (James Fenimore Cooper, Nathaniel Hawthorne). The book has garnered some good reviews, and I am hoping to edit more anthologies in a similar vein. Orlygg at the Realm of Chaos 80s blog has just posted a very nice piece about “A Rough Night at the Three Feathers,” which I wrote back in 1987. I wrote it largely as an experiment, to see whether multi-plot adventures could even work: people liked it, and it has gone on to be one of the most-reprinted pieces written for WFRP. After its original publication in White Dwarf 94, it appeared in The Restless Dead, Apocrypha Now, and – with Second Edition stats – in Plundered Vaults. I’ve returned to the same format twice for WFRP, and once for d20. “Nastassia’s Wedding” appeared in Pyramid #19 in 1996, with stats for GURPS Fantasy was well as WFRP, and the Third Edition adventure The Edge of Night included a society party where Skaven were just one of many problems. “The Last Resort” in Green Ronin’s Tales of Freeport returns to an inn location, on a night beset with mummies, assassins, loan sharks, serpent cultists, and more. In 1987, though, all this was in the future. My initial impetus for writing “Three Feathers” was the popularity (at the time) of bar-room brawl scenarios. White Dwarf 11 started it off with “A Bar-Room Brawl – D&D Style” by Lew Pulsipher, which was reprinted in The Best of White Dwarf Scenarios. Others followed – including “Rumble at the Tin Inn” for RuneQuest – and when WFRP was published in 1986, we knew it would need some adventures and articles in White Dwarf to support it (more on that here). One possibility was a bar-room brawl scenario – they were simple in structure and should be fairly quick to write, which was just what was needed since there was no official budget and schedule for producing WFRP support material during work hours. I set to work, coming up with the Three Feathers inn (though in my mind, the feathers were bunched together on the inn sign, like the three ostrich plumes of the Prince of Wales’ insignia) and a diverse cast of characters, each with a reason for being there and some cross-plots that would bring them into conflict with others. But, as I always do, I had way too much fun developing the characters and plots, and the concept grew beyond the needs of a simple bar-room brawl scenario. First, I thought I would pick one plot, develop it, and file the rest away for future use – but then I had an idea: why not use all of them at once? In my mind, the Three Feathers’ inn sign looked a little more like this – but without the crown. As far as I knew (and still know) it had never been done in roleplaying games before, but there were strong precedents in other media. On stage, colliding plots have been an element of farces since Roman times. One commentator described “Three Feathers” as “a classic British hotel farce,” and anyone old enough to remember the names Ben Travers and Brian Rix will know exactly what he means. I wanted to capture the manic action of farces like Fawlty Towers, A Funny Thing Happened on the way to the Forum, and so on, blending it with the sneaking action of caper comedies like The Pink Panther. I had to think quite hard about how to present the adventure. There was no way to know what might happen with all these plots taking place at once, especially when a group of PCs got involved. So I simply described the location and the NPCs, outlined each plot, and compiled a timeline of what should happen if the PCs weren’t there. A few words of encouragement for the GM (which can be summarized in Douglas Adams’ timeless words, “Don’t Panic!”) and off it went to White Dwarf. Honestly, I had no idea whether it would work or not. I knew that I could handle it as a GM, therefore it was theoretically workable by others, but had I set things out well enough? Would it just confuse people, or would it all come crashing down mid-game leaving players and GMs dissatisfied and angry? It was a great relief when the first positive responses began to come in. Oh, and WFRP did get a bar-room brawl scenario of its very own, just a couple of months later. Jim Bambra and Matt Connell wrote “Mayhem at the Mermaid” for White Dwarf 96. Then the fashion for bar-room brawl scenarios faded, and as far as I know people simply stopped writing them. Today, they are a largely forgotten style of adventure: perhaps a blogger somewhere will trace the history of the form and assess its lasting contribution to RPG adventure design. I would certainly be interested to read it. Oh, and one last piece of trivia. I got the title from a Western called A Rough Night in Jericho. I have never actually seen it, but evidently it includes a bar-room brawl scene, as I saw a still somewhere or other and the title stuck in my mind until I stole it for “Three Feathers.” Make of that what you will…. Amis francophones! Colonial Gothic en francais: aventures surnaturelles et de complot en la Nouvelle-France des XVII-XVIIIeme siecles? Ou Gevaudin, peut-etre? Every so often, I get an email out of the blue from someone who is interested in some corner or another of my long and varied career as a writer for tabletop roleplaying games. They never fail to surprise me – people are still reading things I wrote twenty years ago or more? Inconceivable! – but last weekend I got one that surprised me more than most. Tamara Rüther is studying for a Master’s degree in Celtic Civilization at Philipps-Universität at Marburg in Germany. As part of a study of how the Celts have been presented in popular culture, she wanted to ask me some questions about my work on the AD&D Celts Campaign Sourcebook from 1992. Tamara graciously agreed to let me post her questions and my answers here on my blog. I hope you find them interesting. As for me, I’m still staggered that anything I wrote could possibly end up as the object of academic study. – My first question then would be, whether TSR asked you to write the Sourcebook or whether you approached them about it? Here is how I remember it, although my memory may not be 100% accurate after all this time. When I went to GenCon for the first time in 1991, I talked to a lot of people about finding work, including someone at TSR. I think it was Bruce Heard, but I may be wrong. I mentioned my background in European archaeology and my long-standing interest in the Celts, and so I suppose I proposed the idea to them, although of course it was a good fit with their HR series of supplements and they may already have been thinking that a volume on the Celts would be desirable. – Was it your first official attempt at writing mythology/history into a fantasy-based roleplay or were there others (and if so how was this one similar or different)? It was not my first attempt. I had written a few historical and mythological articles already. Most were for TSR UK’s Imagine magazine, which had published two Celtic-themed issues (#5 and #17) as well as issues on Egypt, Asia, and the Vikings. When I left Games Workshop to pursue a freelance career, one of the first contracts I won was for GURPS Vikings, and GURPS Middle Ages 1 followed shortly thereafter. I wrote both of those in the months before I started work on the AD&D Celts Campaign Sourcebook. – Also, I read on your blog that you had started working on a Celtic RPG setting early on in your ‘Gaming career’. Did any of that material make it into the Celts Sourcebook or did you take a completely new approach on it when you started working on the AD&D Sourcebook? I drew on the same pool of research, of course, but my embryonic game Fianna used a home-brewed game system and was set exclusively in the Ireland of the sagas, so it was not possible simply to copy Fianna material into the AD&D Celts manuscript. – Possibly a slightly random question – but how much time did you put into research and how easy was it? (I’m asking because some of the books you mentioned are still used in Academia today and they’re not always easy to get.) Did you still have access to University libraries or did you have to find everything elsewhere – and how did it go? When I started work on Fianna, I was still working on my never-completed Ph.D. project at Durham University in England. I had access to the main university library as well as the Archaeology Department’s library and my own college’s library. When I started work on the AD&D Celts Campaign Sourcebook, I had some photocopies of key passages from various books from those libraries along with my notes for Fianna, as well as my own copies of most of my undergraduate archaeology textbooks. While writing, I relied mostly on what was already in my head, although of course I paused to look things up as I needed to. The most research went into the monsters, I think, but I was working from books with which I was already familiar. There were some books that didn’t make it into the reading list: mostly archaeology textbooks such as Barry Cunliffe’s Iron Age Communities in Britain. I tried to focus the list on titles that the general reader would find accessible and useful. – Did TSR have any specific requests concerning the Celts Sourcebook (i.e. its accuracy, for example whether things should be closer to the truth or easier to understand) or were you able to do whatever you wanted? And did they do much editing after you were done? If my memory can be relied upon, I submitted a proposal with an outline before the contract was issued. I based the structure of the book very closely on that of HR1: Vikings Campaign Sourcebook, and I do not remember anyone at TSR asking for any changes. They requested a few minor changes after I submitted the manuscript, but these were so minor that I cannot now remember what any of them were. The only editing that I remember is the omission of the rules for the tathlum (which I have since posted to my blog ). At the time I thought this was because the subject matter was rather gruesome, involving severed heads as it did, but I never found out the reason for the cut. Perhaps my rules were weak, too – this was my first attempt at writing for AD&D Second Edition. – How closely did you work with the illustrator of the Sourcebook, or did you have any influence on the graphics at all? I submitted detailed art briefs as part of the contract requirement, and the artist followed them very closely. I do not remember having any opportunity to approve the art before publication. – I’ve seen you’ve written other games afterwards, which more or less touch on Celtic materials (Gurps Faerie, or the more recent Camelot-related games) – do you think the AD&D research has played into that a lot, or did you treat each of these topics seperately? Also, was the approach to the topic the same each time or, if not, what were the differences? The AD&D Celts Campaign Sourcebook included a lot of material taken from the later folklore of the Celtic Fringe, especially Ireland, Scotland, and Wales. This was partly because the Irish sagas which made up my main documentary source contained very little in the way of monsters and magic and I felt that an AD&D supplement absolutely needed these elements. Since my earliest days of playing D&D, and then AD&D, I had turned to British folklore and faerie lore as a source of ideas, and at the time of writing the New Age movement, then in its early days, was beginning the process of coalescing Celtic traditions and later faerie lore into a coherent world-view. To answer your question, though, I approached each project separately, but drew on the same well of education and experience – my academic background in archaeology, my lifelong interest in myth and folklore, and my emotional attachment to the history and culture of the Celtic Fringe – for each one. I never saw any sales figures. My contract was work-for-hire (one-time payment with no royalties) so I could not even guess from how much money I made. If any sales figures still exist, I would guess that they are somewhere in the vaults of Wizards of the Coast, along with all the other financial data that came with WotC’s purchase of TSR. My guess, though, is that such figures would have been destroyed by now, or would be on 1990s-era media that are probably no longer readable. – The book itself is out of print by now, isn’t it, but I think the PDF version is still available, so do you know whether it’s still bought today and how frequently? I have no idea. The only source of book sales data I have available is Nielsen BookScan via Amazon Author Central, and that tells me that no copies have been sold through that channel for as long as their records go back. – Did you get feedback on how people found it? What they liked and didn’t like etc.? – Is there a specific age group that would be more likely to use the Celts Sourcebook more than others? I intended the book to be used by anyone who played AD&D 2nd Edition. At that time most players were aged 15 and up, I think, although I heard of some as young as 8 – which may account for the cutting of the tathlum mentioned above. Although I’m best known for my work on tabletop games, electronic games have been my bread and butter for the last 25 years. Like a lot of “names” from the golden age of tabletop RPGs – Mike Brunton, Jim Bambra, Zeb Cook, Lawrence Schick, Ken Rolston, Paul Murphy, and many more – I found in the early 90s that the electronic games industry offers writers and designers something that the tabletop games industry cannot: a chance to actually make a living. So far, I have worked on more than 40 electronic games that made it to market, as well as quite a few that didn’t, and a handful that have not yet been announced. Below is a list of the first category. If you are interested in finding out more about my services and availability as a game writer, a good place to start is my LinkedIn profile.